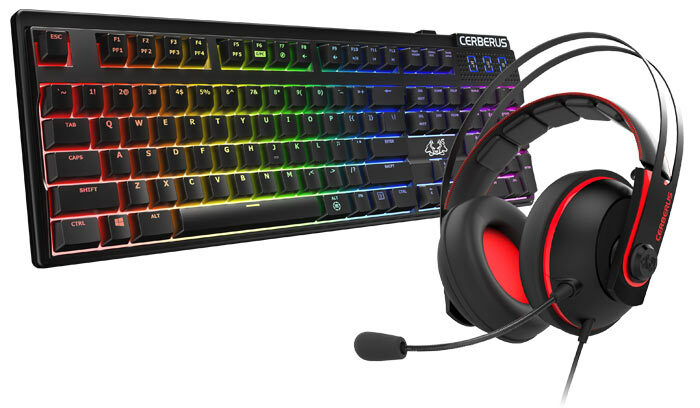 Asus has launched a couple of new gaming peripherals as part of its Cerberus series. First of all it has a new Cerberus Mech RGB keyboard which features Kaihua RGB switches and programmable backlighting. The other new Cerberus product announced today was the Cerberus v2 gaming headset with new audio drivers, and chamber design, plus larger, more comfortable ear cushions. The latest Asus Cerberus keyboard adds mechanical keyswitches to the range and is thus aptly named the Asus Cerberus Mech RGB keyboard. Asus has chosen to equip the fully mechanical Kaihua RGB switches and will make them available in Red, Blue, Brown and Black feel/action varieties. Asus says that the Kaihua switches offer a lifespan of up to 70-million keystrokes. Furthermore, full anti-ghosting and N-key rollover (NKRO) technology ensures that every keystroke is logged. Programmable RGB backlighting means that all the keys on the Asus Cerberus Mech RGB can be tailored to match your style / gaming preferences. Asus provides seven built-in lighting effects in customizable colours. Hotkeys can be a blessing, and the latest Cerberus keyboard features a full set of media keys plus on-the-fly macro recording. A Windows key lock makes sure you don't interrupt your gaming by an accidental press of this otherwise useful key. Asus has implemented a number of important improvements to create the Cerberus v2 headset. The new headset features "Asus Essence drivers that deliver pristine, high-fidelity audio, taking games to immersive new heights with impactful, lifelike sound effects and cinematic music." However, in the new headset, Asus engineers have tweaked the driver size, reducing them from 60mm to 53mm in the Cerberus v2. This change facilitates a larger sound chamber for "richer, more natural sound," we are told. The headset uses a durable, stainless-steel outer headband which is supplemented by a padded band to make head-contact. In another major change to the original design, the new v2 ear cups sport 30 per cent larger ear cushions and offer 50 per cent improved sound insulation according to Asus. For microphonic duties Asus has equipped the Cerebus v2 with two microphones: a detachable boom mic that provides clear communication when gaming, and an in-line microphone that is convenient for phone calls and other everyday tasks, such as smartphone voice commands. Users will find a four-pole audio/mic combined connector in the box. In addition there's an audio/mic splitter adapter which enables use with dual-port devices, such as motherboards and certain laptop models. 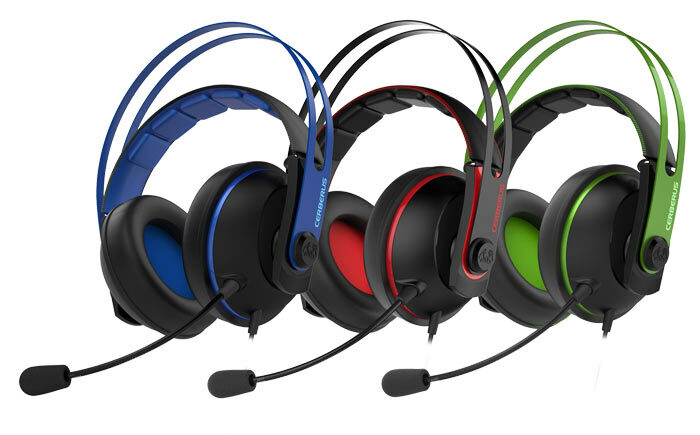 The Cerberus v2 headset will be made available in red, green, and blue. Both the Asus Cerberus v2 headset and Cerberus Mech RGB keyboard will become available in the UK from the end of this month. Pricing hasn't yet been revealed. I'm using a Qpad MK85 now. The body of this keyboard, apart from the logo, appears to be an exact clone.